Where has the time gone? 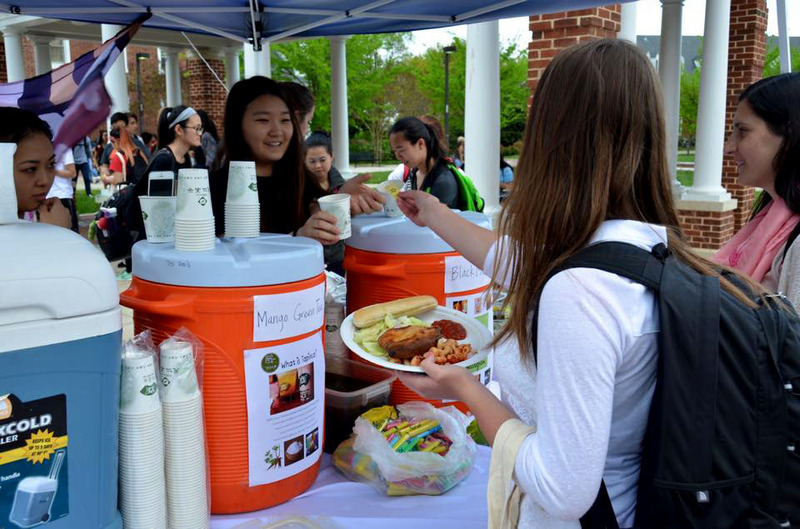 Can you believe it’s been a year since Spoon University started up at the University of Maryland? 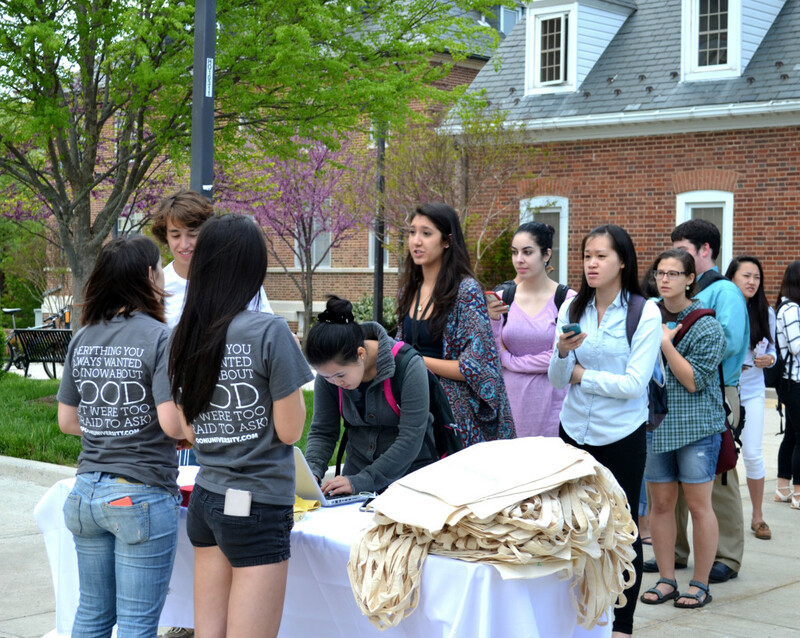 We’ve had a blast writing articles for everyone and just wanted to celebrate our one year anniversary by throwing a little somethin’ somethin’ to commemorate this milestone, so on April 30th we held Spoonfest on the Washington Quad. We had everything from food and games to a bunch of prizes that could be won. If you missed out, you can relive the experience by checking out the pics from our event and reading about everything that went down. 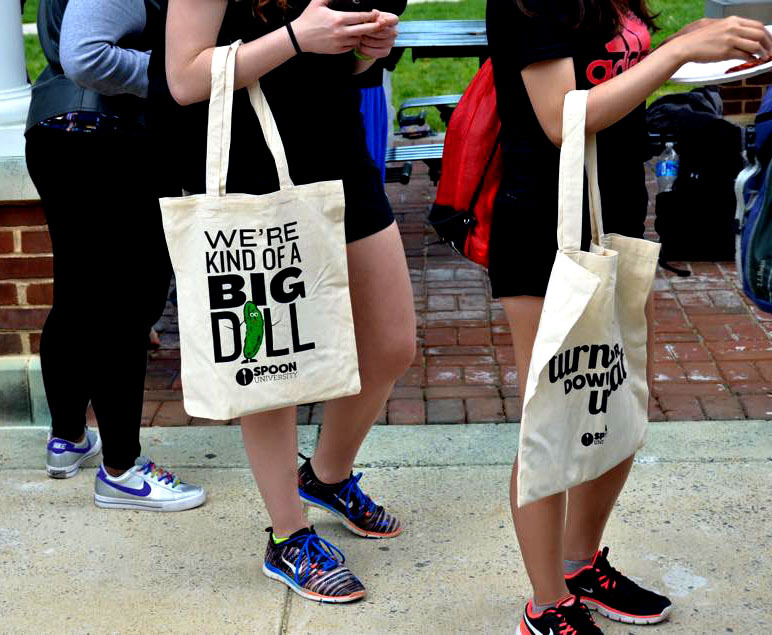 The first fifty lucky attendees got some sweet tote bags courtesy of Spoon University. Now you can go about your day showing off how much of a big dill you are by showcasing that awesome Spoon swag. For you less lucky people, I’m sure you followed us on all your social media outlets, so that means you’ll be able to keep up with everything that’s happening at Spoon UMD. 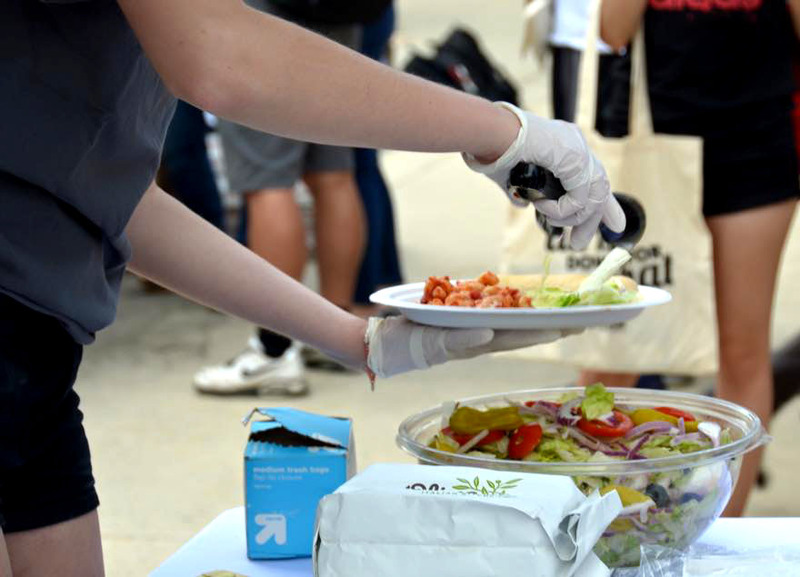 The biggest draw for any event in college has got to be free food. If I’m ever invited to an event and they advertise free food, you can bet I’ll be there. I’m a college kid after all. I don’t want to be paying for lunch if I can just grab a dozen small samples for free. Free is always a good thing. We were lucky to get a bunch of local vendors to pitch in with the food end of things. If you were itching for some Asian food, we got you covered with bubble tea from Ten Ren’s Tea Time. The pasta and salad from Olive Garden was a great way to fill your empty belly if you were in the mood for some Italian. We also got some ooey gooey calzones from late-night specialists D.P. Dough if you just needed a gluttonous amount of cheese that day. If you entered our raffle, you got the chance to win a bunch of nomilicious prizes. We had some killer burger and fry sauce from Bobby’s Burger Palace for the next time you happen to be grilling. 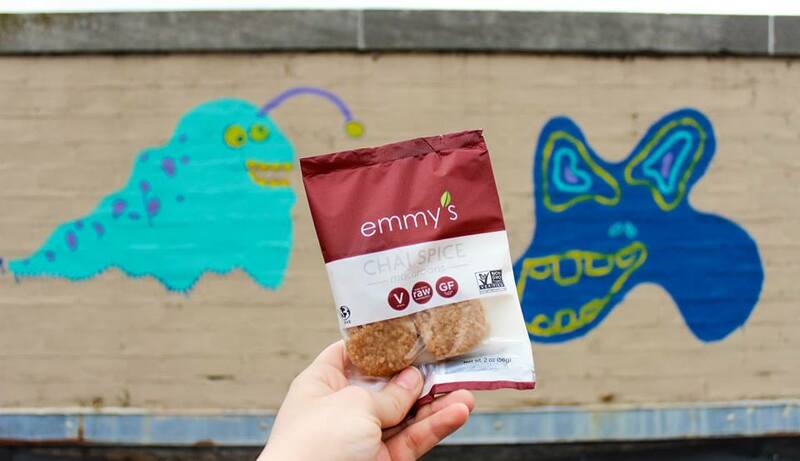 Emmy’s Organics had a couple of prizes for you to munch on while you’re cramming for finals. And if you’re a health nut, we also had a couple of stuff from SweetGreen up for grabs as well. A huge thank you to all the vendors that helped us in making this event a huge success. 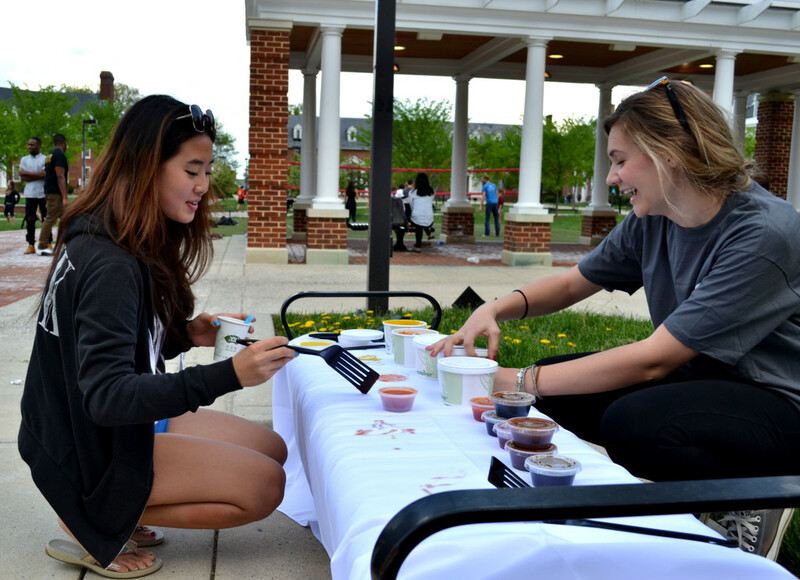 On top of all the free food and prizes you could’ve gotten, we had a couple of fun events setup for you to get to know Spoon UMD a little better. If you happen to enjoy playing with your food then you probably stopped by our Splatter Paint station. In place of paint, we used condiments in order to unleash your creative side. I saw a couple of people who could definitely be the next Jackson Pollock. You and your friends probably got a pic with the Big Spoon as well. Everyone wants to take a selife with the Big Spoon. Because seriously, who doesn’t want to take a picture with a big metal spoon? Spoonfest has come and gone. So from everyone on the Spoon UMD team, we would just like to thank everyone that stopped by to grab some free grub and hang out with us. 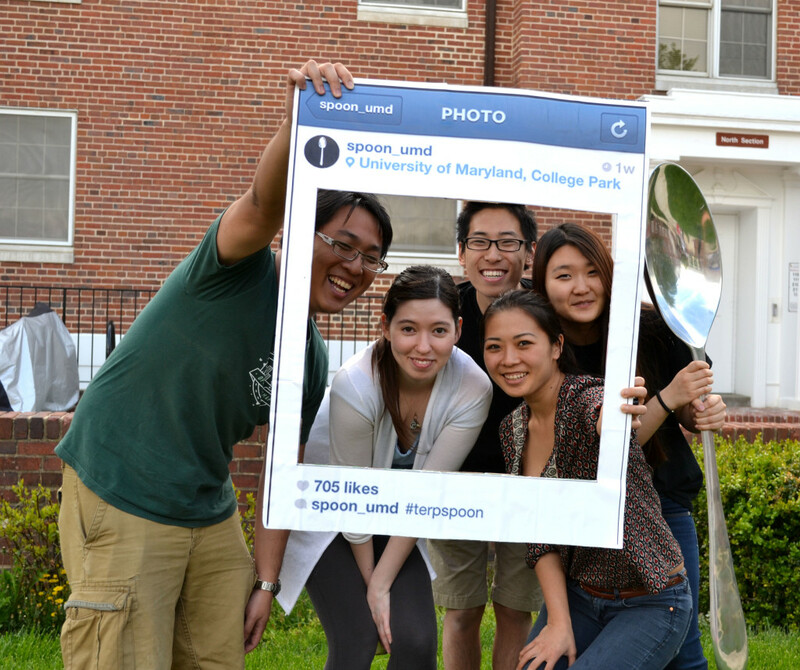 We’ll definitely be celebrating again next year so follow us on Facebook, Twitter and Instagram to be in the know about all things Spoon UMD.